Last month, Nord Anglia Education students headed to New York City to present their ideas and accomplishments in targeting the UN Sustainable Development Goals. Phillippa Tichotova, an English teacher from Prague who accompanied the students on the trip, shares how students inspired her dissertation on how they engage with the Global Goals to make a difference in their communities. 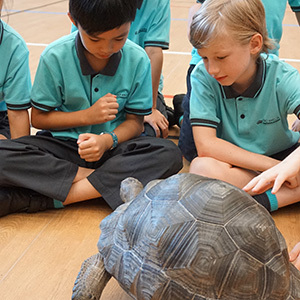 International schools are in a unique position to create culturally aware and globally-astute graduates. 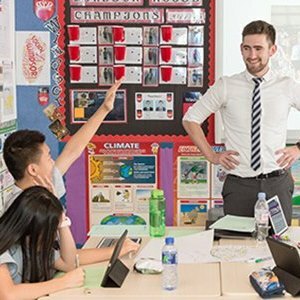 As someone who has lived abroad for over a decade and working as an international teacher, I wanted to understand how I could help students become future leaders to impact their communities in a positive way. My curiosity ultimately led to the topic for my dissertation. 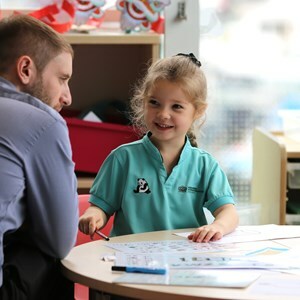 I chose to focus on Nord Anglia’s Global Challenge which used the World’s Largest Lesson, an initiative co-led by UNICEF, which asks our students to engage with the UN Sustainable Development Goals, also known as the SDGs or the Global Goals. These are 17 goals that the United Nations has set forth in order to eradicate extreme poverty, inequality and climate change by 2030. In the coming year, I will undertake a project to see how teachers can best motivate students to work on the Global Goals. This summer, I had the privilege to see the leadership potential our students have in their efforts to transform the world when I chaperoned students from Nord Anglia’s European schools to the UN High-Level Political Forum (HLPF) in New York City. 87 students from Nord Anglia schools across the world met in New York to discuss what they had been doing during the year to target Goals 2 and 3, zero hunger and good health and well-being, as part of the Global Campus challenge. The highlight of the week was the HLPF side meeting in which eight students presented their work towards these goals and their aspirations for the future. H.E. Peter Thomson, President of the UN General Assembly, explained to our students that the SDGs must be part of their generation’s DNA. As our student presenters noted, 13,000 Nord Anglia students worldwide participated in this year’s Global Challenge to raise awareness of the SDGs. 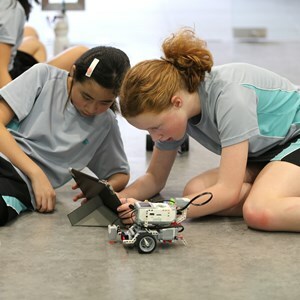 As a result, these goals will be firmly rooted in their generation’s philosophy due to their opportunities for collaboration, innovation and engagement across the globe. 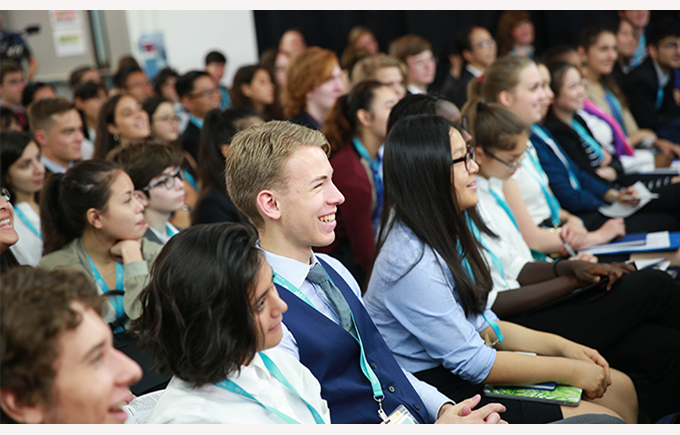 At the end of their presentation, Anthony Lake, Executive Director of UNICEF, challenged students to ‘live happy and fulfilled lives making constructive trouble’ in their quest to change the world. Over the rest of the week our students proved that they were eager to embrace Mr Lake’s challenge. After taking part in a Model United Nations at the Nord Anglia International School, New York, in which they discussed some of the most pertinent problems in world affairs, students visited the UN and took part in UNICEF workshops to find out about the organisation’s development work. They also had the opportunity to plan their next steps for tackling Goals 11 and 12, sustainable communities and responsible consumption and production, when they return to their schools in September. Students from different regions worked tirelessly together to produce some inspirational ideas which they then presented to representatives from Nord Anglia and UNICEF at a gala dinner at the One UN New York hotel. Though exhausting, it was an inspiring week, not only for the students, but the teachers who accompanied them. We were able to see first-hand just how ambitious our students are in working towards the SDGS and it left all those involved with no doubt that, working together, these young people have the possibility to transform the world by 2030.